We at Titan Trade, see to it that our traders are working on a fair, secure and transparent trading environment. We always make sure that our services are accessible at all times, and that our customer support is available at all hours of the day. We only deliver what’s best for our clients, be they amateur or professional traders. Aside from that, our state-of-the-art platform provides the highest levels of transparency and reliability that safeguard the safety and privacy of clients’ funds. With these things in mind, traders and investors should not be misled by Titan Trade scam issues, negative Titan Trade reviews and exaggerated Titan Trade complaints found online. 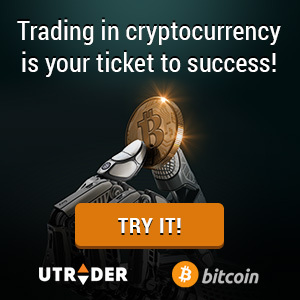 Most Titan Trade complaints were made by traders who failed to benefit from trading binary options because they lack knowledge or experience in the field, while other issues were posted by some of our competitors to destruct our positive image and hamper our growth in the online financial trading industry. Traders should not be affected by these negativities because there are no truths behind these allegations. As a matter of fact, there are no major complaints filed against Titan Trade with regards to our platform services, payouts, banking and customer support. Besides payouts and platform features, the risks were clearly explained to ensure that traders fully understand the risks involved in trading binary options. This way, traders will know how much to invest before they place a trade. For us at Titan Trade, caring for our clients is the best way to strengthen our brand name. Though complaints and criticisms are part of every business, we are constantly striving for improvement to bring you the best Titan Trade trading experience, the latest financial information available and the infrastructure to build your success. 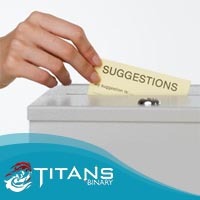 If you have suggestions, concerns or Titan Trade complaints, get in touch with our customer support via live chat, phone or e-mail.